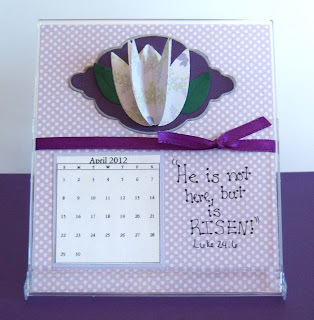 Time for the monthly calendar challenge again! My how time is flying by. 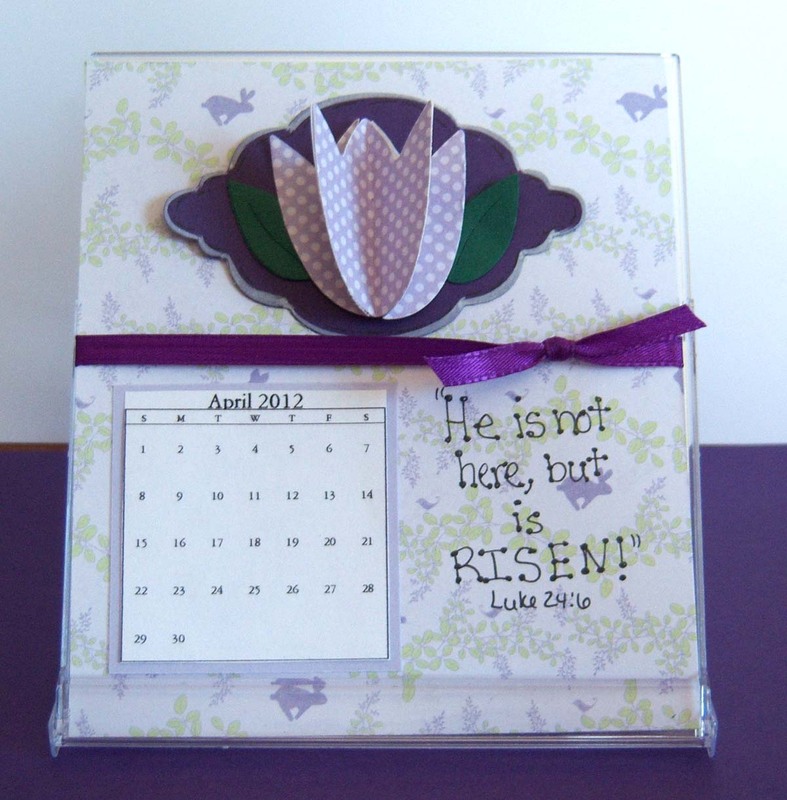 For my two CD case calendars I did purple spring images. This time I used two different papers for the background....the second is posted below. I used a Cuttlebug die for the tulip and leaves. To make the tulips 3D I cut three, folded them in half and glued them back to back. 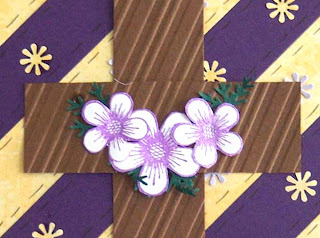 The little flowers on this are from the MS border punch bloom dots and the bigger flowers (on the cross) are from Heartfelt Creations - Posie Patch set. 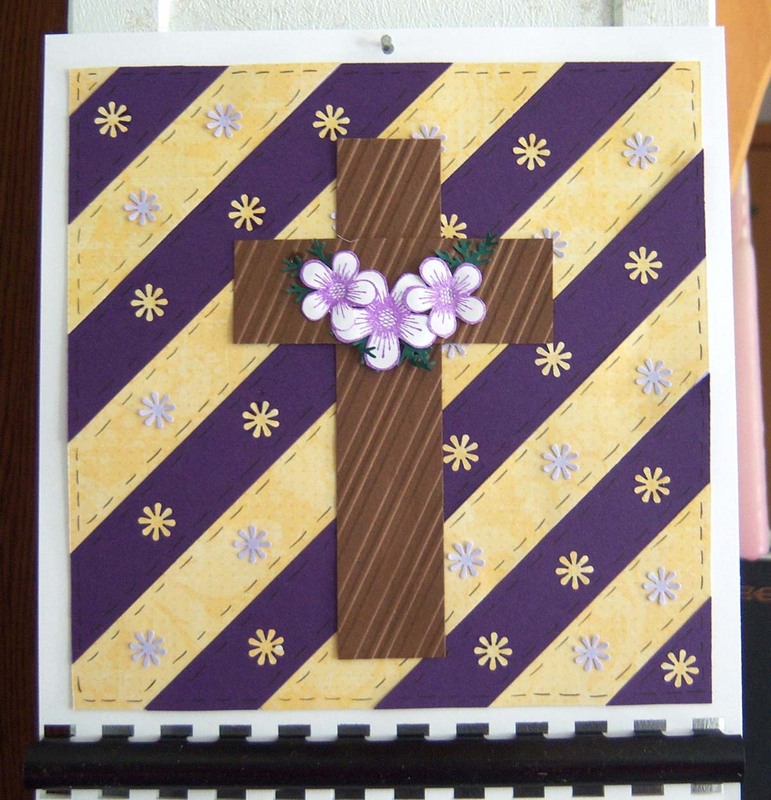 I also used the candy cane stripe embossing folder on the cross. Here's a little closer view of the flowers/cross so you can see the textures in it. I started out making this a stand up calendar (like for an easel), but just this month decided to change it to a hang up calendar. 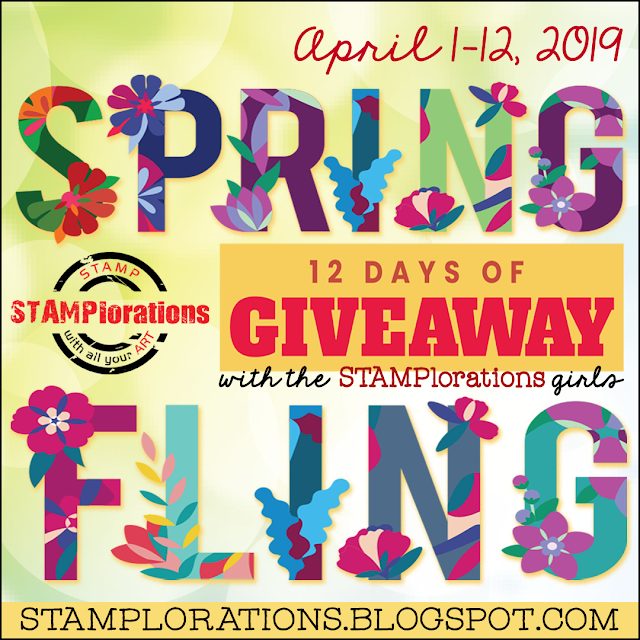 If you've been following the calendar challenge each month you may want to revisit those posts to see the "new and improved" version. 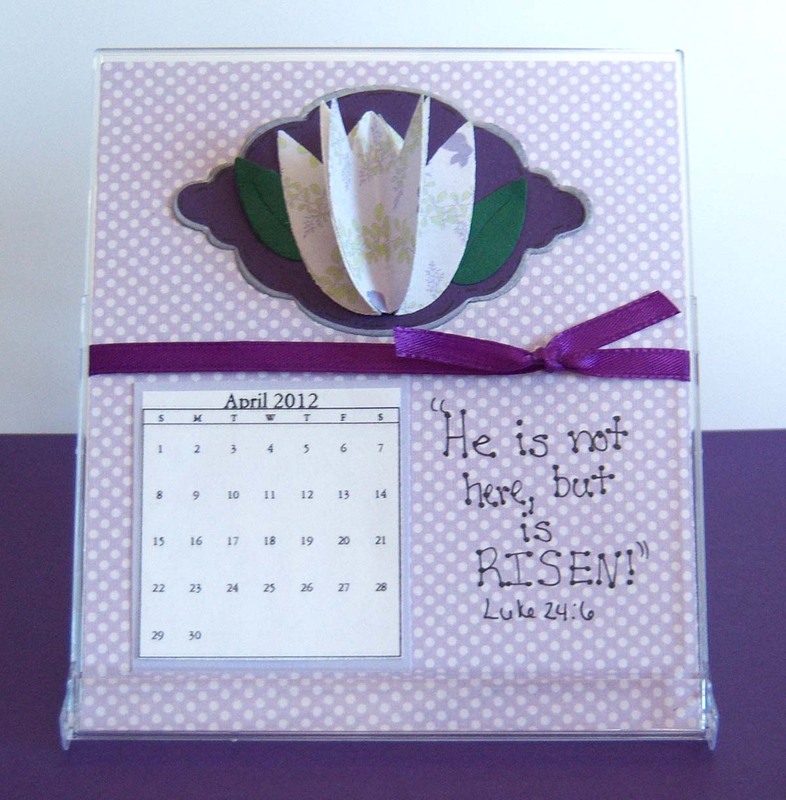 Now go here to see what my friend did for her April 2012 calendar. Tnx so much for linking this up at Who Made What? Weekends! The purple made me smile. It looks so springy and I'm all over springy. Wish we could tell the weather about spring. Ha!